Man and His Van™ provide the full moving service – furniture removals, storage and now, after merging with The Box Man ™ we offer an extensive range of boxes and packing materials. 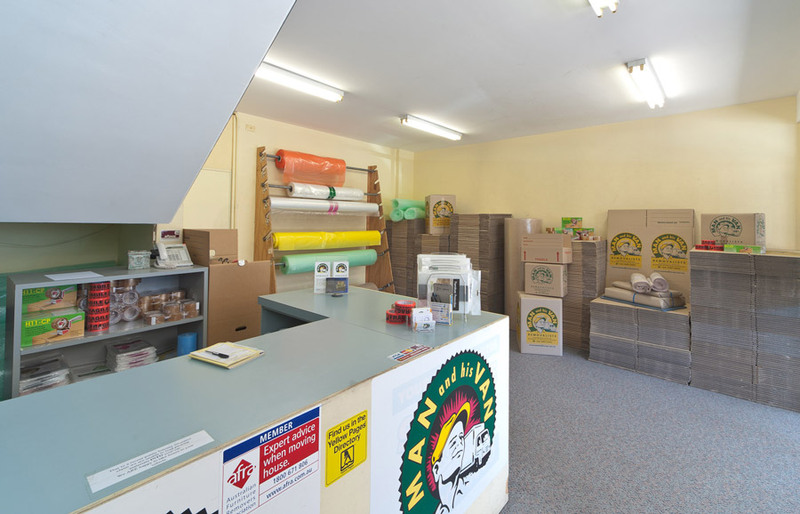 Under The Box Man banner, Man and His Van established a retail and wholesale box shop in 1996. Similar to the storage operation, the box shop was a natural progression for a growing furniture removals business. It is all about quality at a reasonable price in conjunction with a friendly yet highly professional attitude. This applies to all our products and services- from moving to storage to boxes and packaging. Our box shop is still located at unit 6, 91-93 Old Pittwater Road Brookvale, Sydney. This is a physical Northern Beaches address. That is, we are a real company with almost twenty five years of trading experience. Compare this with many of our competitors: they are just “e” businesses with no physical address, and they are certainly not located on the Northern Beaches or North Shore of Sydney. Man and his Van have recently purchased a more prominent building in Brookvale, Sydney. We will, eventually, be moving the box shop and the main company office. The objective is to have a drive through box shop, office and furniture storage in a position of high exposure. The only obstacle being the building requires complete re-design and renovation. The project is certainly exciting, though at times quite daunting; so we do not expect any relocation until late 2016. So, meanwhile, come on down to the Brookvale shop, ring the bell on the counter and be it furniture removals, storage or boxes, or even all three, we will be there to assist you. The Box Man is your first stop for packing boxes and all the other materials when moving house here on the Northern Beaches of Sydney.